By now, most people know that Botox can help to freshen up your face and give a more youthful glow. You might assume that only a plastic surgeon can offer Botox injections. But did you know that same youthful glow is now available at your Mill Creek dentist? That’s right – the skilled dentists at Penny Creek Family and Implant Dentistry offer Botox treatment in their dental office. You trust your dentist to help give you a beautiful smile. Your dentist is highly trained in the complexities of the jaw, teeth, and facial muscles, and all of these work together to help keep your smile youthful and bright. As a professional trained in the intricacies of your maxillofacial region, your dentist knows precisely how best to administer botox to achievethe best results for you! Convenience – You already see your Mill Creek dentist every six months for a tooth cleaning and examination. Why not schedule your Botox treatments at the same time? You’ll enjoy the convenience of a single office visit with the procedure performed by a dentist who knows your unique facial bone structure. 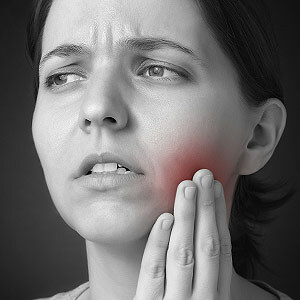 Long-Lasting TMJ Disorder Relief – If you suffer from temporomandibular joint disorder, Botox can relieve the stress and tension in your jaw by relaxing the muscles. This can provide long-lasting pain relief, reduced neck and shoulder pain, and reduced headaches. Help for a Gummy Smile – If you feel that too much of your gums show when you smile because your upper lip pulls back more than it should, dental Botox can help to relax your upper lip to help give you a more beautiful smile. Dentists across the world are now using Botox to relax a hyperactive upper lip, which may help avoid other, more costly surgeries that are designed to correct a gummy smile. Though it’s becoming a more common procedure, not all dentists are trained to offer dental Botox. If you’re interested in dental Botox, contact the skilled dentists of Penny Creek Family and Implant Dentistry in Mill Creek, WA by calling (425) 337-7300. Your beautiful new youthful smile awaits.